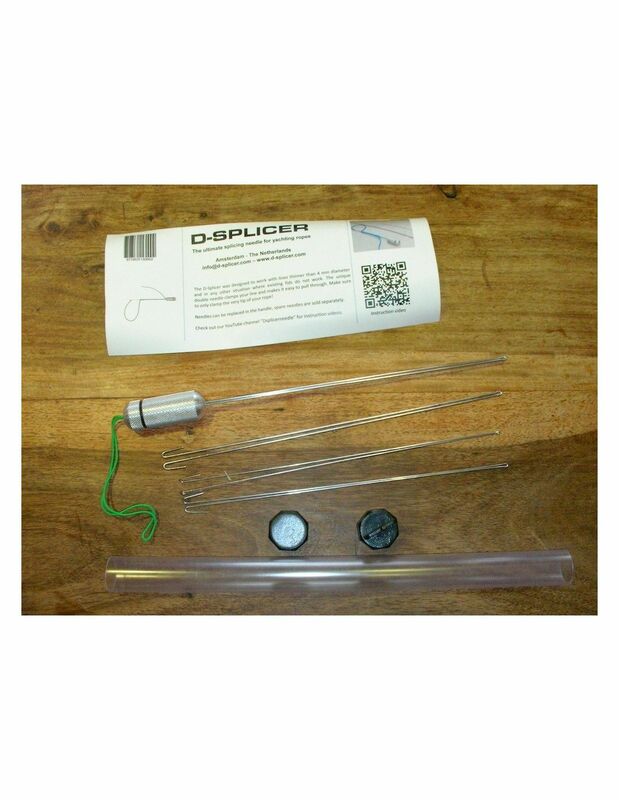 The D-SPLICER needle is the ultimate solution for splicing thin yachting ropes. 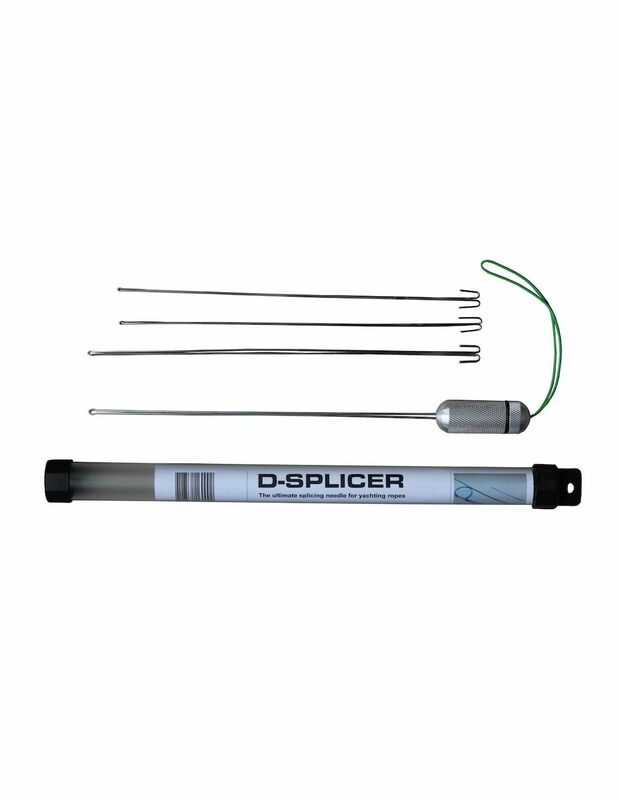 Being frustrated with existing splicing tools, we developed the D-Splicer. 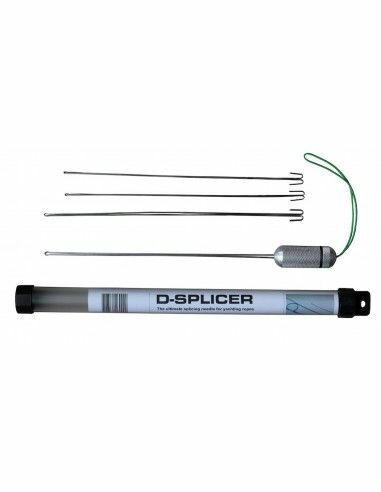 The D-Splicer works fantastic for lines thinner than 4 mm diameter and in any other situation where existing needles do not work. The unique double needle clamps your line and makes it easy to pull through. The D-Splicer handle is made of anodized aluminium in order to last in maritime conditions. The needles are made from stainless steel. 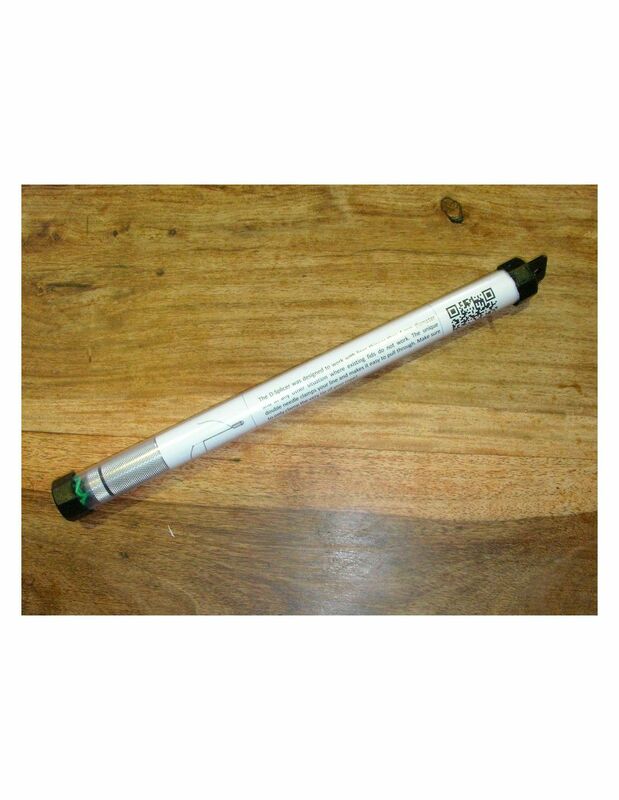 Spare needles are also sold separate from the handle.